Vi O'Neal obituary. Carnes Funeral Home. Vi O’Neal, longtime resident of Jennings, LA and Columbia, TN, died on April 8, 2019 at her home in Jennings. She was 91. Strong-willed and sardonic to the end, Ms. O’Neal, known to dozens of family members as “Nanny Vi,” was born in Jennings on August 5, 1927 to the late Estelle Landry and the late Theosime Lavergne. She was preceded in death by her sister, Lola Gary; grandmother, Malinia Lopez Landry; grandfather, Ozema Landry; and nephews, Wallace and Warren Gary. She is survived by her son, Kevin O'Neal; brother, Eugene Manuel; nieces, Betty Lejeune, Barbara Denman, Bertha Benoit, Beverly Dronet, and Jennifer Nunley; and nephews, Walter Gary, William Gary, and Ernie Manuel. Friends and family members are welcome to gather together at 6 pm on Saturday, April 13 at the American Legion Hut on N. Market Street in Jennings. 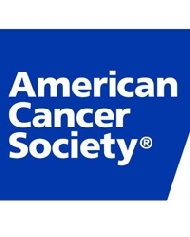 In lieu of flowers, please consider a donation to the American Cancer Society.